The snow's falling everywhere, but who couldn't use a little more? Timberline Lodge and 10 Barrel Brewing are getting together tomorrow in Portland for the standard superstitious Pray For Snow Party. 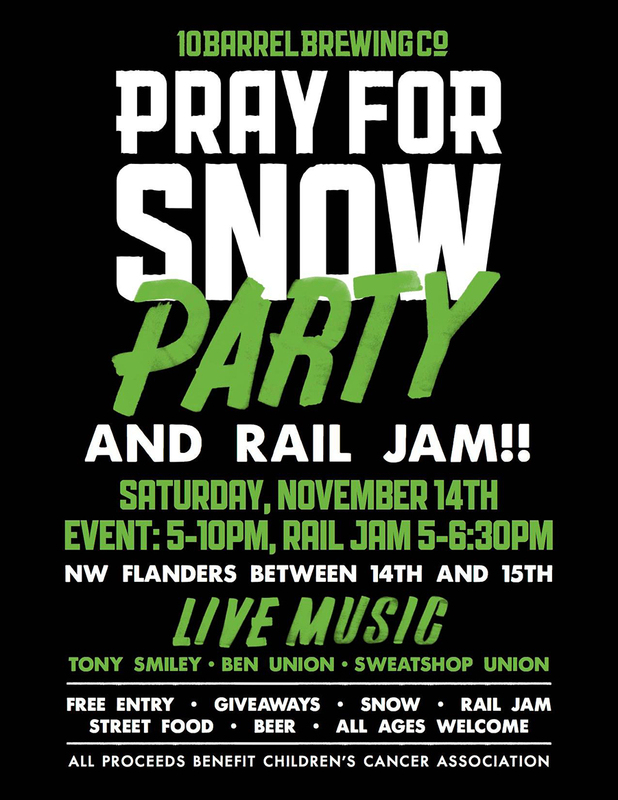 It's a rail jam and religious service all rolled into one with music, dancing, food and drink. The proceeds even go to charity. That oughtta get the lifts crankin'! If this doesn't bring the snow, what will! ?